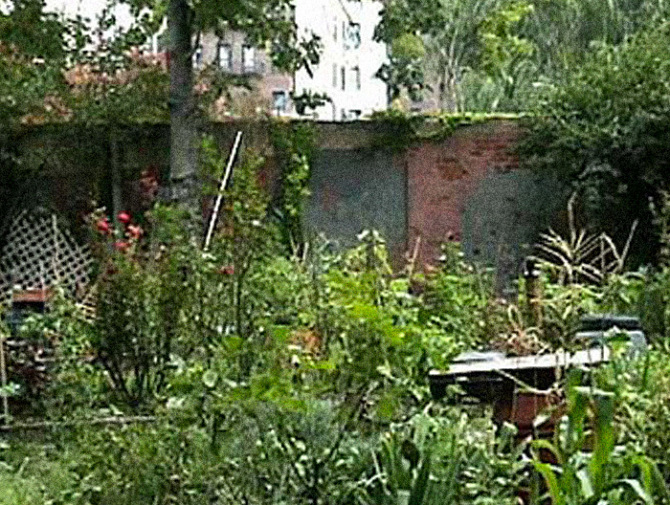 El Jardin del Paraiso, Inc. is a public park, operated by community members and the NYC Department of Parks & Recreation. El Jardin del Paraiso is available for community events and activities. The goals of El Jardin del Paraiso, Inc. are to promote environmental awareness and education and provide a space for recreation and outdoor events. The garden was founded in 1981, formed from nine contiguous city-owned lots and is now three-quartes of an acre. In 1999 the garden was granted park status by the New York City Planning Commission and was dedicated on October 22, 1999 by Commissioner Henry Stern. Over the years GreenThumb and other organizations have provided support to continue to enrich the garden spaces for the community. 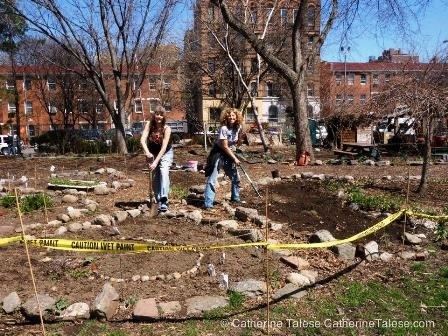 Many community groups and schools have, or do, use the garden, including Tompkins Square Middle School, the New Amsterdam School, and the Earth School. 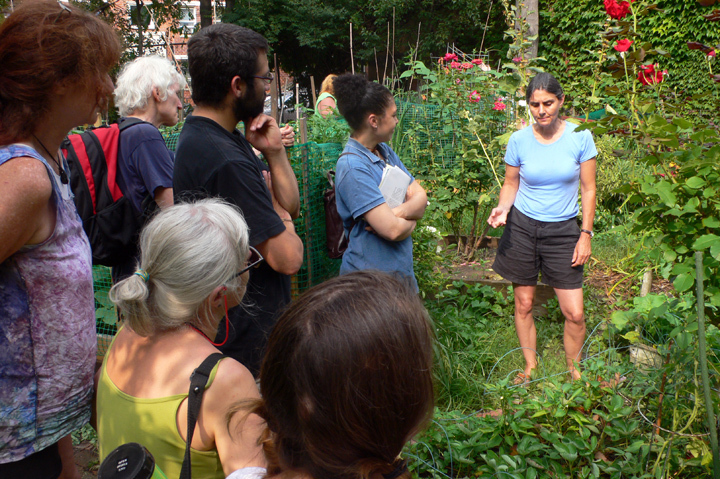 Each Spring El Jardin del Paraiso hosts hosts a New School class, which is the first undergraduate class in community gardening in the United States. New Amsterdam school students (age 2+) visit El Jardin every day during the school year. In October 2012, Hurricane Sandy flooded Avenue C near the garden, washing away neighborhood stores, businesses and homes. El Jardin lost trees and plant material. Two large trees fell and were eventually cut into large benches for use in the garden. 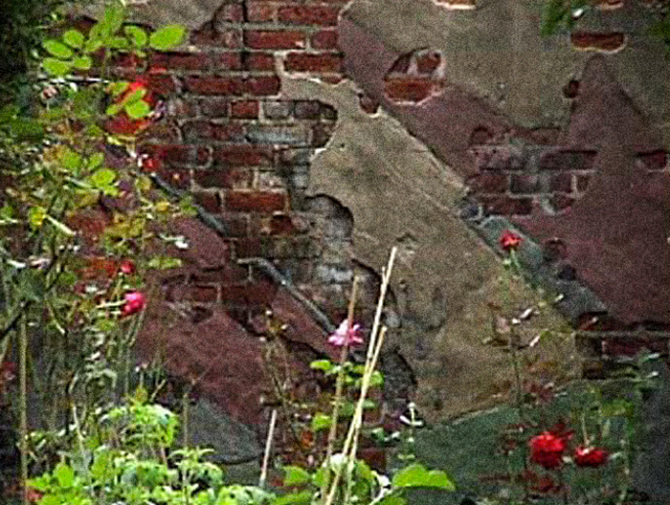 The gardeners worked hard to restore the natural beauty of the space. 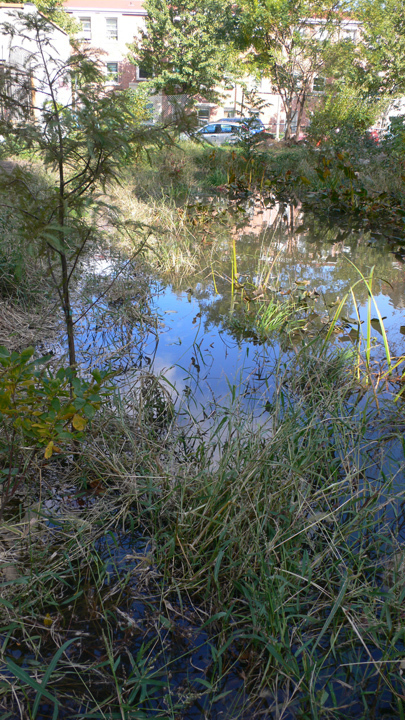 Today the park has a wetland project, a children's discovery zone, a native plant project, and a medicinal garden. 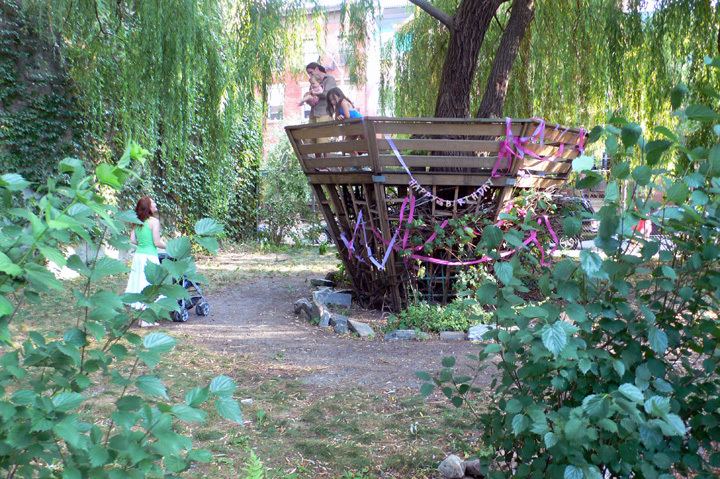 A willow tree in the garden provides shade and a place for children to play. The tree is surrounded by an octagonal treehouse designed by artist Roderick Romero. 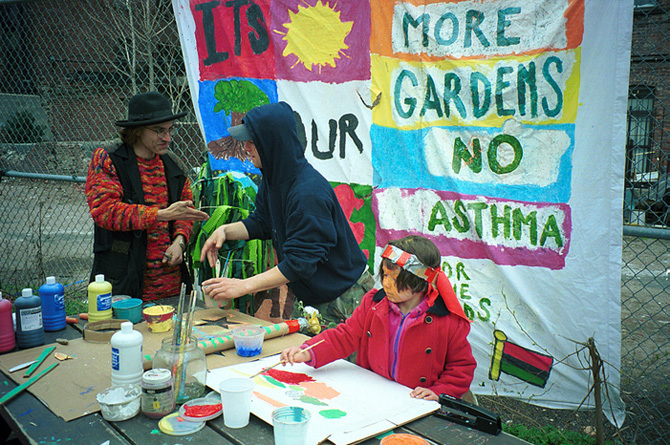 The park also participates in the neighborhood coalition LUNGS (Lower East Side Neighborhood Gardens) by holding festivals, events, and meetings. 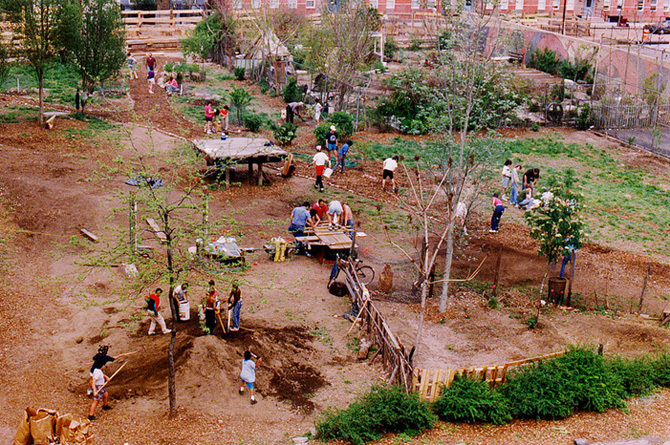 "Thirty years later, the park continues to try to meet the challenges of a different time: to create a natural classroom and recreational possibilities for various adjoining schools within walking distance of the park; to provide gathering space and recreational opportunities for area residents; and to provide a natural retreat from the surrounding urban environment."